A how to on providing security controls over data regardless of location, time of access, user or device. BYOD, mobility, cloud, social media and IoT – these phenomena are causing a paradigm shift in IT based on what users can and where data can live. Gone are the days when data was confined to the data centre and we could put a virtual fence around it and protect it. Now data is everyone with multiple copies of it. This causes a massive headache for CISOs who are tasked with protecting this data from falling into the wrong hands. The question then arises, with data literally everywhere, how do we achieve this? 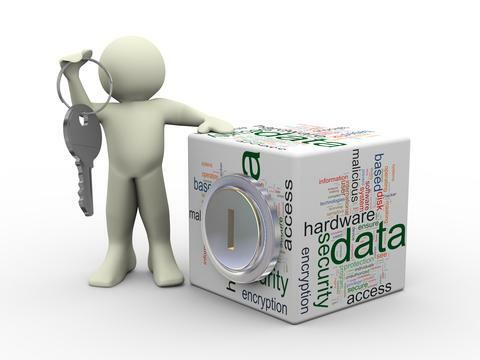 Encryption – this is particularly important for data at rest. If the data is encrypted, and the keys are controlled appropriately, then anyone getting access to the data will struggle to do anything with it since it will be undecipherable. So having discussed the issue of data being everywhere and some basics around controlling security to it, the next point to address is how do you apply these security fundamentals to the data. This is where the rubber hits the road! The basic premise that applies here is “containerising” the data and applying security controls to the data itself – not users, location, time or devices since the mantra now is access anywhere, anytime from anything. Analytics / Correlation – adequate logging can only be achieved when logs are captured for all data types regardless of device or user, and analysed and correlated to reveal threats and attacks. Without this level of intelligence in place, it will be difficult to determine security issues with critical data types. An important component here is to ensure that the organisation has an adequate incident response plan that is well tested. The log data should be reviewed ideally in real-time and responded to. If this capability cannot be procured internally, consider outsourcing to the many managed security providers that now exist. Within this article, I have tried to explain how to provide security controls over data regardless of location, time of access, user or device. The fundamentals of data security still very much apply around data containerisation and application of authorisation, authorisation, accounting and encryption controls. Appropriate application of these controls at the right layers of network, servers and databases, cloud, mobile / IoT and analytics / correlation will allow you to protect your data adequately.